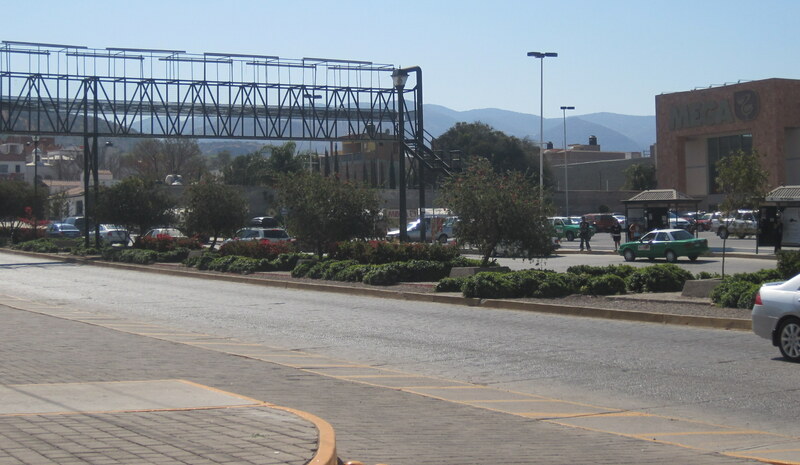 Everyone is talking about the Travel Advisory issued for San Miguel. Newspaper reports all talk about the State Department warning. So I decided to find the actual travel warning on the US State Department site. There is no warning listed for San Miguel. The warning was issued by the Consul General in Monterray . There is no advisory warning lists on the State Department site. But from reading newspaper reports you would think it was a State Department Advisory. Again the Media has not be very responsible in attributing the warning to the correct agency. 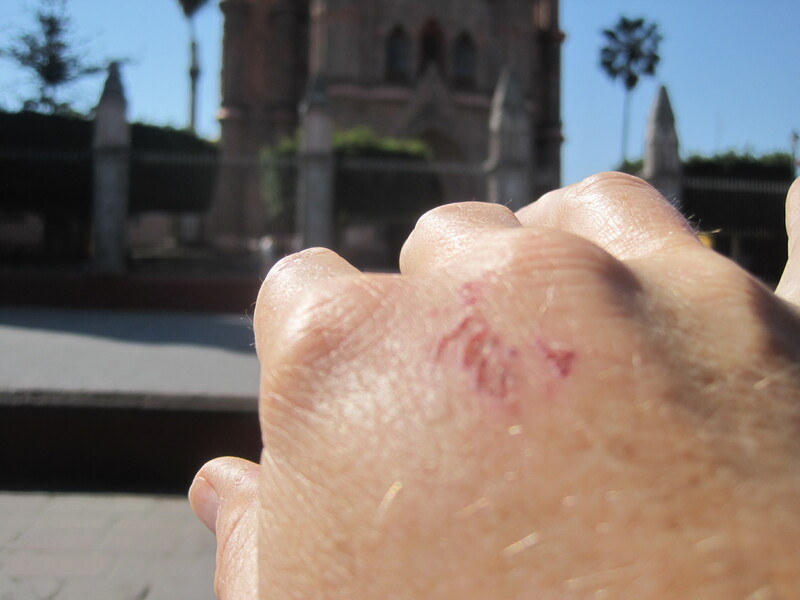 So if you found this site from googling Safety in San Miguel de Allende I need to alert you the top ten dangers in San Miguel. If you eat you will eventually have to go to Mega to buy American food staples – balsamic vinegar and Dijon Mustard. If you go by taxi then you have no danger. If you walk there, then you are faced with a life and death decision. Do I walk up the stairs and along the bridge or do I dash across the road when there is a break in the traffic? It is a choice between a heart attack and being hit by a car? It is even more fun now that they have created barriers to run across the road. It now involves jumping and running. 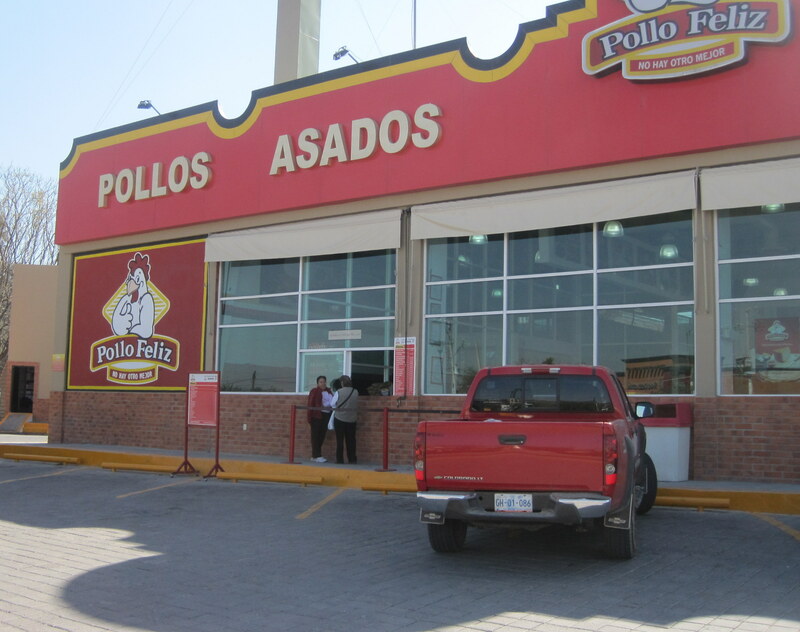 Every Wednesday Pollo Feliz sells one and a half chickens for the price of one chicken. The line-ups are huge. The danger is the half chicken – sometimes you get the wrong part. San Miguel is a bit liberal so you must be very careful when you talk to expats. Most are Democrats and the Republicans haven’t organized themselves as of yet as they can’t seem to find each other. So never never say you like Fox News. If you do no one will speak to you again. 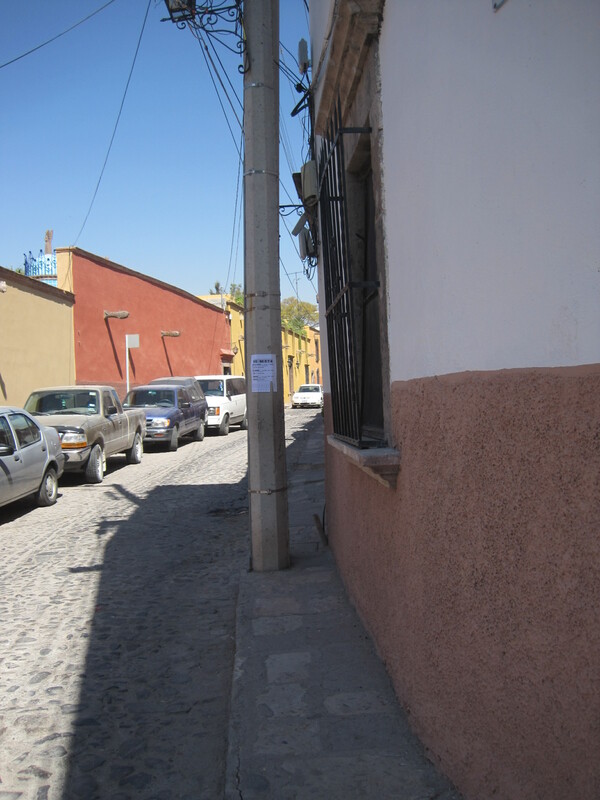 The sidewalks in San Miguel are about one foot wide. Two people can not pass each other unless one steps into the street. (See Danger 4). So when walking on the sidewalks you are constantly faced with a showdown between you and the person walking towards you. Either you go on the street or they do? Can I squeeze through the space or must I walk on the street? 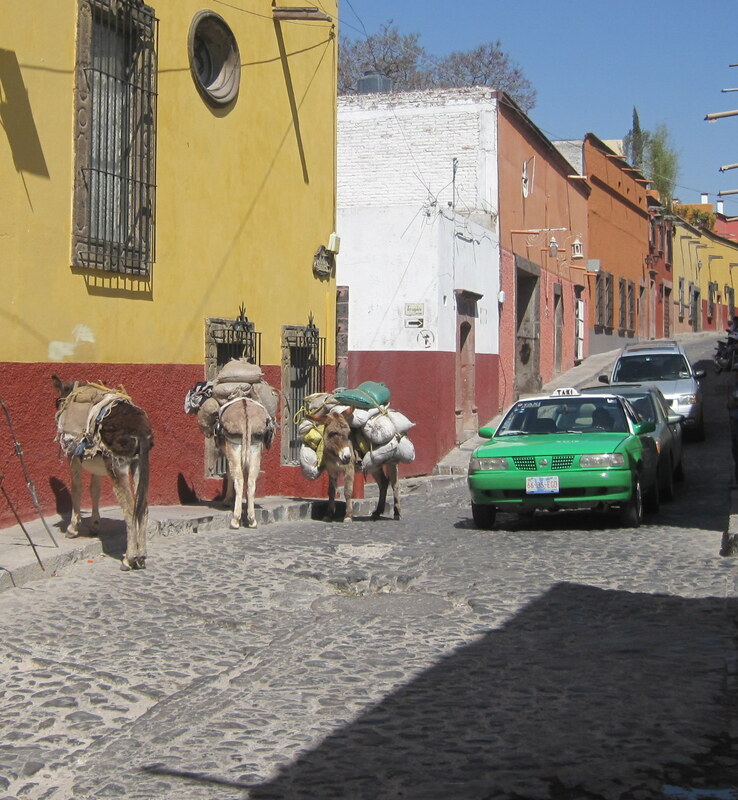 Many tourist believe San Miguel is a giant petting zoo. These are not petting burros but working burros. Touch them at your peril. 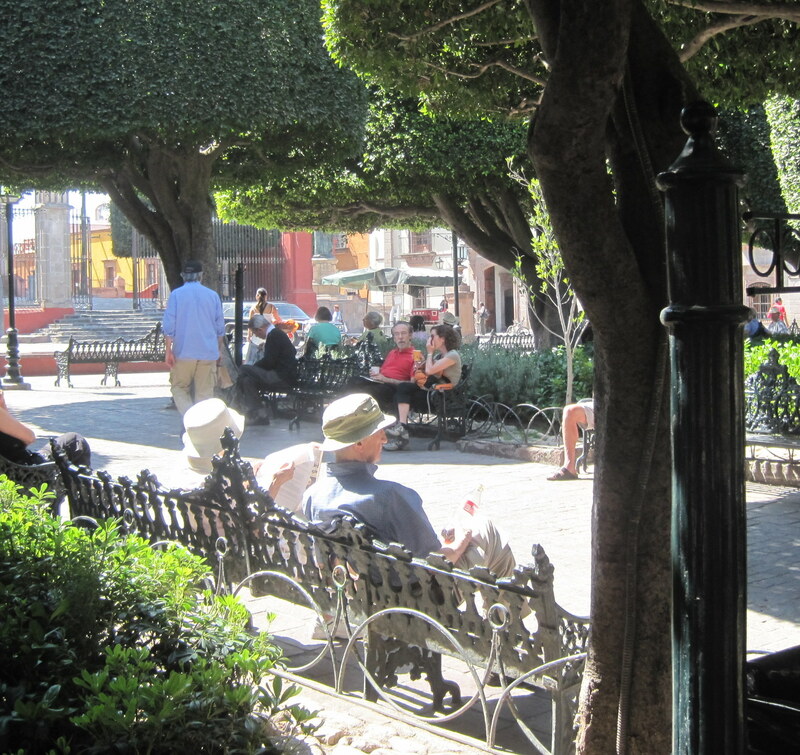 Every bar and restaurant in San Miguel offers some form of Happy Hour. There are several dangers here. The first one is drunken seniors. Nothing is worse than a drunken granddaddy who thinks he is 21 again. Get in a taxi in a San Miguel and within minute you will hit a tope and hear your wine bottles rattling the trunk and your head hitting the top of the cab. Never put your wine bottles in the trunk. Hug them in your lap or bring a blanket with you when you shop to wrap them in. The second danger here are the cobblestones. 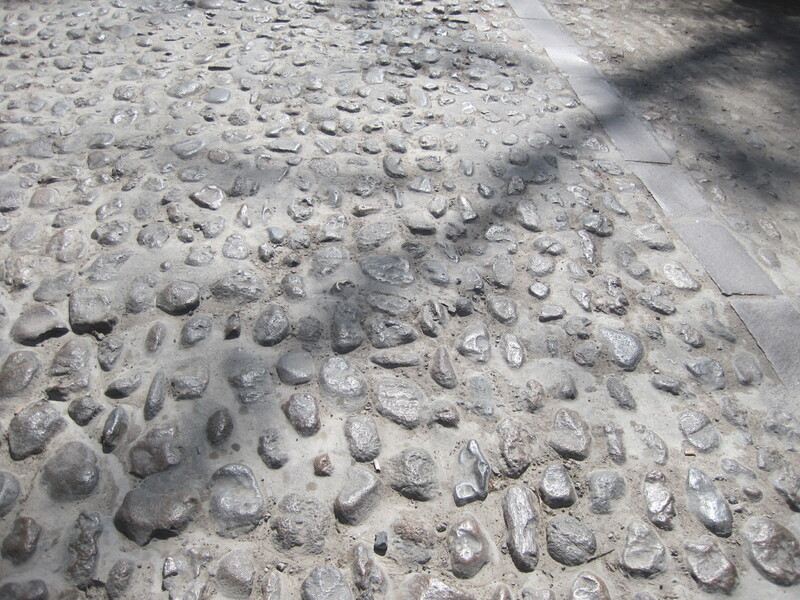 They make San Miguel quaint but they are hell to walk on. Everywhere you look there are fallen seniors all over the roads who have tripped on a cobblestone. Don’t pick them up as they are good warning signs. San Miguel is full of artists. A lot of art is weird. Using commonly found objects is big here. 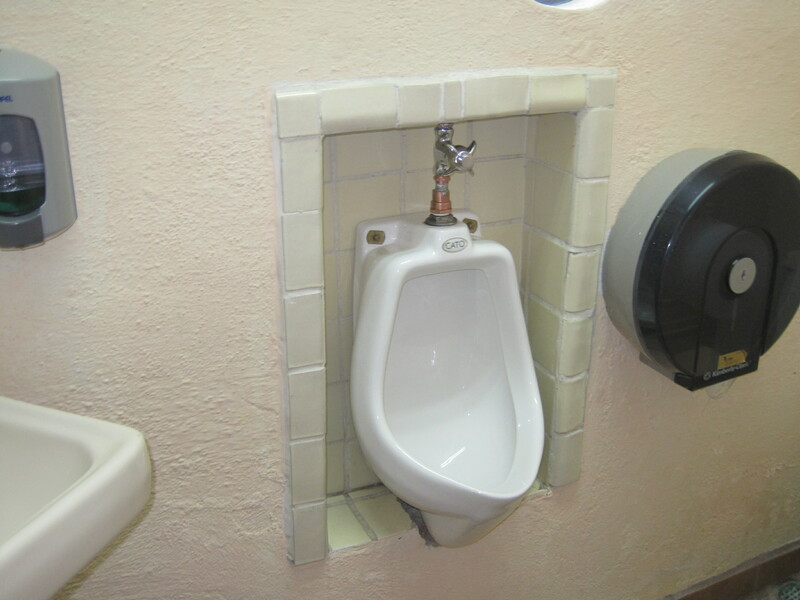 So this is either a urinal or an art installation. Using it inappropriately may lead to severe consequences. 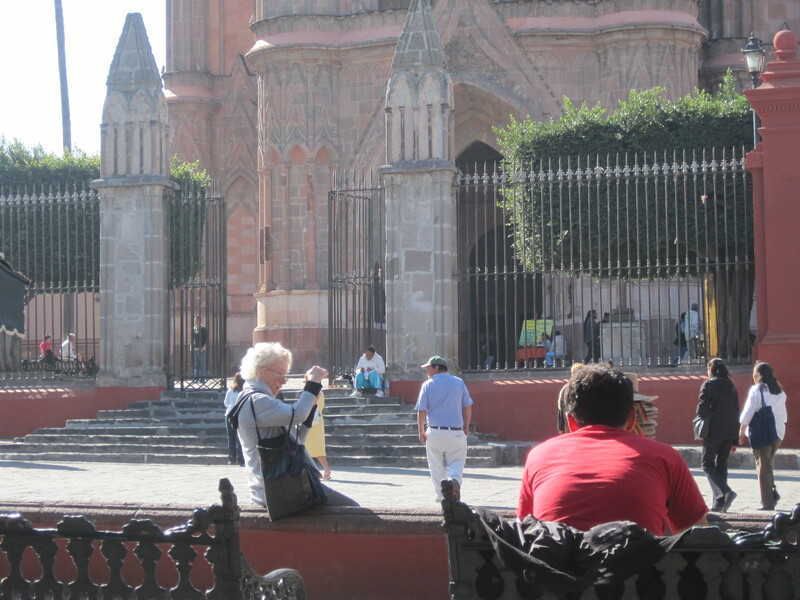 If you come to San Miguel, then every day you sit in the Jardin on the Iron Benches for at least 2 hours. Choose carefully where you sit as other tourists will want to talk to you. You may experience interesting conversation or two hours of ailments and what is wrong with the world or how much magic your bench mate has experienced in the last day. 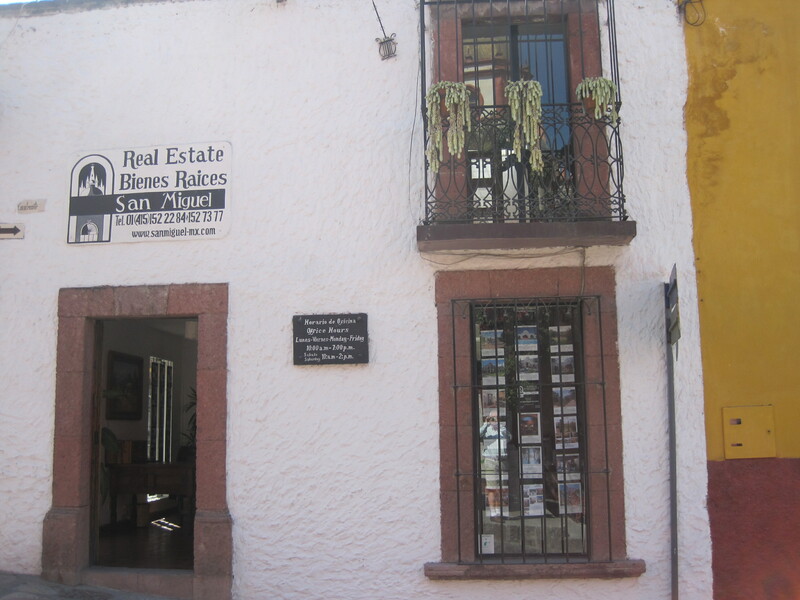 These evil shops put pictures of house for sale in San Miguel. Look but never, never go inside because once you do will end up buying a house in 2 days. The day after my post on the clown pants lady I looked at my hands and noticed that there was a wound on my hand. I didn’t remember scraping my hand against anything although my first night here I forgot to leave a light on and when I tried to go to the bathroom I did bump into a few things before I found the lights. I googled my wound on hand and the first entry was Stigmata. 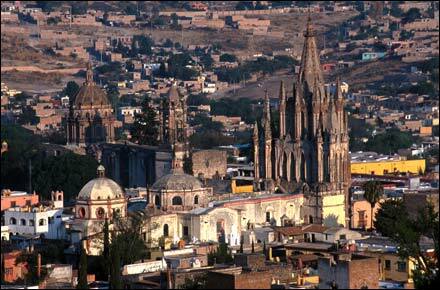 I have learned in San Miguel that facts should never get in the way of a good story. My wound is only on one hand and not on my palms but I do believe it is stigmata. Google also told me that some people self inflict the wounds but I attest to the fact that I am a coward and would never wound myself even though I have found that my words have wounded people like Ms Clown Pants. 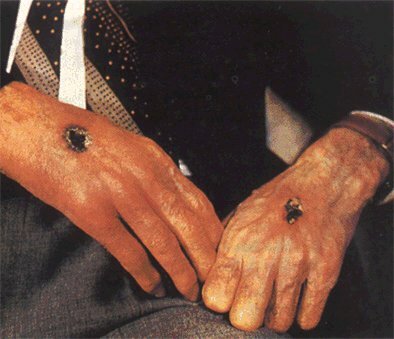 Some stigmata have unusual shapes, such as a cross or a circle, and some even glow in the dark. Many of them also produce a pleasant perfume-like odor. I do hope my hands glow as that would be fun at a party. All 32 or so recorded cases of stigmata have been Roman Catholics and all but four of those cases were women. No case of stigmata is known to have occurred before the thirteenth century,* when the crucified Jesus became a standard icon of Christianity in the west. Reasonableness seems to require the non-miraculous explanation. 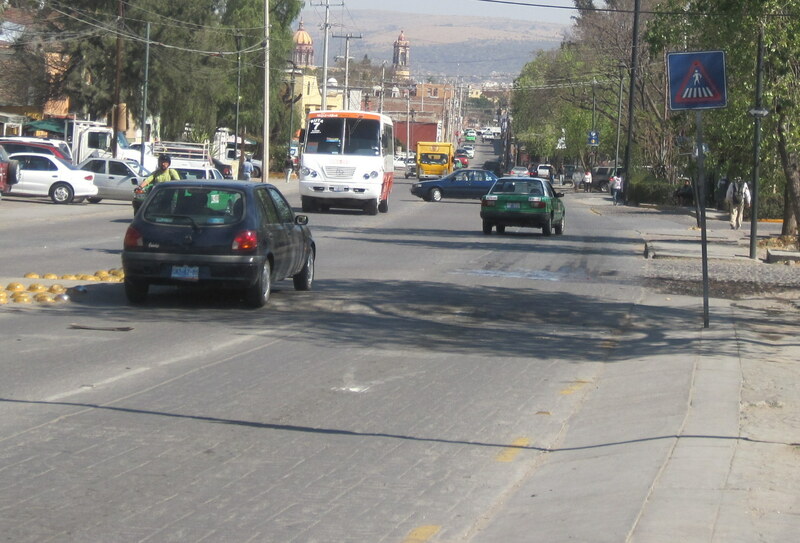 And the majority of the pictures are of the Parroquia or street scenes. Not all tourists know what to take pictures of? This lady, perched in front of the Parroquia, missed the Parroquia as her eye wandered to someone where more interesting. The man was blocking my view. I did get up to see what was in the picture but dear reader, I will leave it up to you to figure out what and why? I am not going to suggest as reason as I am getting worried. One commenter yesterday said I should go home. I just got here and already the hate has begun. I dread to think what today’s threat will be. 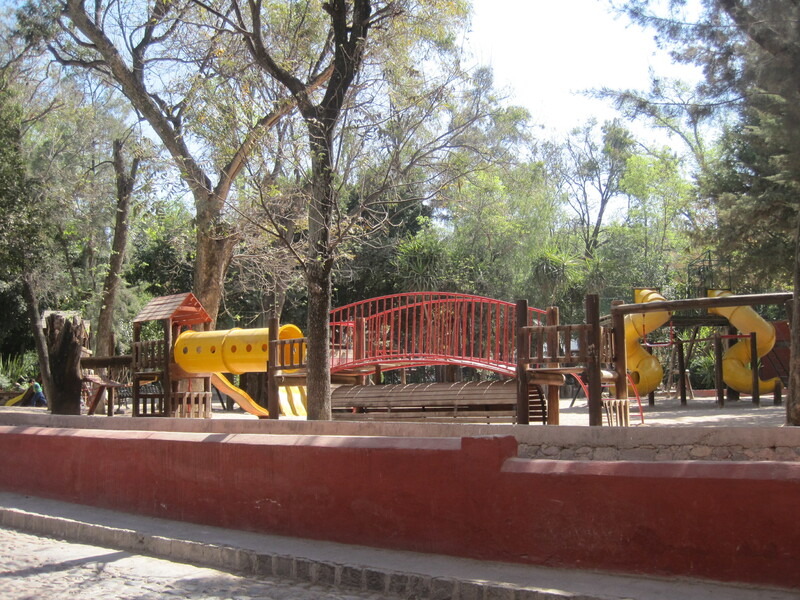 This morning, less than 13 hours after arriving, I hied myself down to the Jardin to see what was new. I don’t why I expected that much had change, but I had hope. I had been sitting for no less than seven minutes when I spied my first clown. She walked right past me as I sat on the iron benches walking a dog. For a minute I restrained myself. But the restraint didn’t last long. My evil hand was reaching into my pants pocket to retrieve the camera. Three snaps. The best was the last. Time are tough I noticed. She hadn’t bothered to dress the dog in anything. Guess she is a selfish clown and does care much about how her dog might feel being walked by a clown. Poor little creature I thought. Bad enough to have a clown as an owner but not to be included in the fun is unspeakable. Storms have Alerts to warn people to head to higher ground. 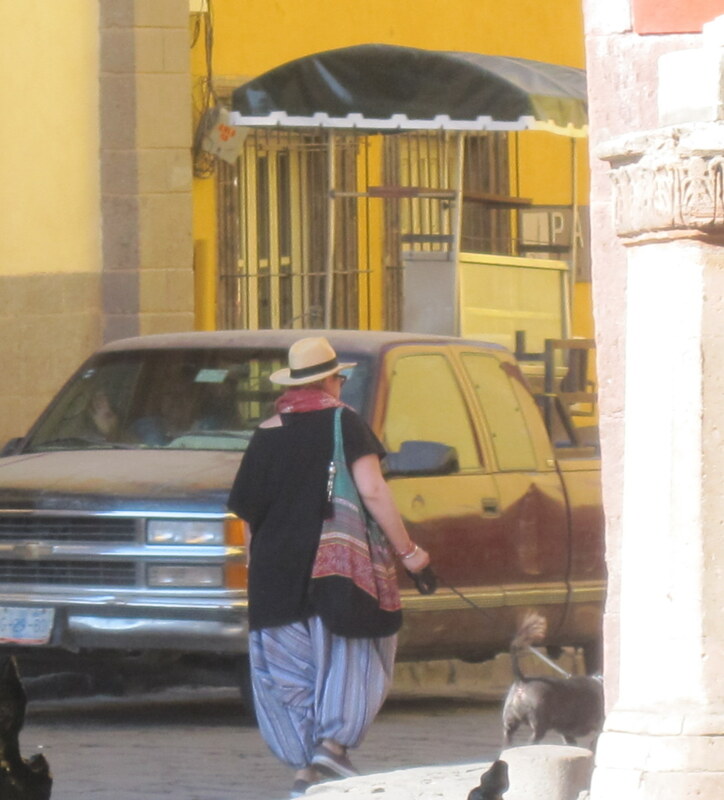 I arrive in San Miguel February 19th at 6 pm so you have until then to prepare and put away the capri pants, straw hats, drape dresses, peasant outfits and whatever else you have found on the walls as clothing. I have my camera and will be exposing the Gangs for three weeks only.